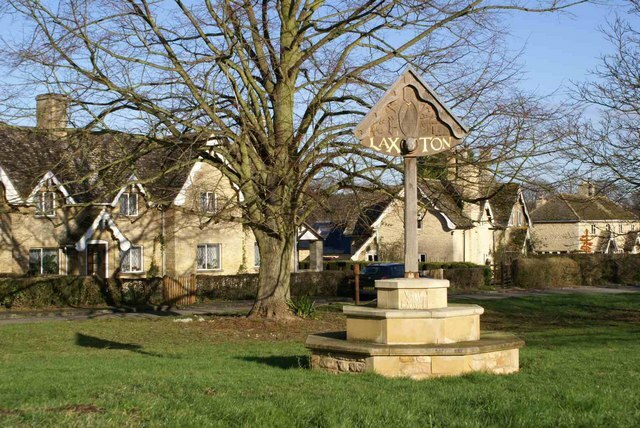 Laxton is a small parish of 530 hectares. Originally it included the present parish of Fineshade, giving it a total area of 880 hectares. A castle, and later an abbey on the same site, were built in the N.E. of the parish, and it was the extra-parochial area around this abbey that became separated as Fineshade parish. Laxton lies in Rockingham Forest, and in the 15th century was held by service of hunting and taking wolves, cats and other vermin (Cal. IPM, Hen VII vol. I, p. 238). It passed in the 16th century to the Staffords of Blatherwycke who seem to have let the house to tenants (Bodl. MS. Top. Northants. f1, p. 79). When William Stafford's land was divided between his two daughters in the early 18th century, Laxton went to the younger daughter Ann, who married George Evans of Bulgaden Castle, County Limerick, later created first baron Carbery. Their grandson George, third baron, who died at Laxton in 1783, may have built the house which forms the core of the present Laxton Hall. On the death of the fourth baron in 1804 Laxton passed to his widow, who married her late husband's cousin George Freke Evans. He immediately improved the park, enlarged and remodelled the house, and rebuilt the village as an essay in the picturesque. He also intended to rebuild the church, commissioning designs from Humphry Repton (c. 1807–8) and from William Carter (c. 1809–15), all in the Gothick style; none of these was built, and probably the designs were not paid for either. Eventually the church was rebuilt in 1867, retaining the medieval tower. Freke Evans' correspondence and bills relating to his building work are preserved at Bisbrooke Hall, Rutland, and form the basis of the accounts of the hall and village. The correspondence between him and Humphry Repton shows Freke Evans to have been a difficult client. The architectural work was actually carried out by Humphry Repton's son, John Adey Repton.